Kyoto is a must see stop on any trip to Japan. Full of Buddhist temples (over 1000! ), Shinto shrines and Zen gardens, there is so much to see in Kyoto. Most visitors stay only for a few days as part of a longer trip to Japan so we narrowed down the best things to do if you only have 3 days in Kyoto. There is not enough time to see everything Kyoto has to offer but you can see most of the highlights of Kyoto in 3 days. 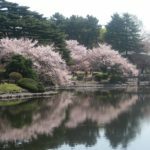 Kyoto’s tourist attractions are pretty spread out so we grouped the attractions by neighborhood to create the perfect itinerary for first time visitors which includes what to do, where to eat and where to stay in Kyoto. Take the train to southern Kyoto to see Fushimi Inari Shrine, one of the most popular attractions in Kyoto. The Fushimi Inari Shrine is an important Shinto shrine famous for its thousands of vermilion torii gates. The Fushimi Inari Shrine is always open and admission is free. At the back of the shrine’s main grounds is the entrance to the torii gate covered hiking trail which goes up to the summit of the mountain. You can hike all the way to the top of the mountain which takes about 2-3 hours roundtrip but you can turn back any time. Most visitors just do the shorter hike through the clustered torii gates (approximately 30 minutes) to the Yotsutsuji intersection roughly half way up the mountain which has a great view of Kyoto. The rest of the hike is less crowded but there are less gates and there is not that much more to see. I recommend doing just the shorter hike as there are other places to walk in Kyoto. After seeing the Fushimi Inari Shrine head to Eastern Kyoto which is a historic part of Kyoto full of temples, shrines, gardens and shops to get a taste of traditional Japan. I recommend starting with Ginkakuji (the Silver Pavilion) a Zen temple that despite it’s name is not silver or covered in silver. From Ginkakuji you can access the start of the Philosopher’s Path, a pedestrian path that follows a canal lined by hundreds of cherry trees. In April, this is one of the best places in Kyoto to see cherry blossoms. Near the end of the Philosopher’s Path are Eikando Temple (one of the most beautiful places for autumn foliage in the fall) and Nanzen-ji Temple (a zen temple with a beautiful rock garden). The Philosopher’s Path is about 2 km long and takes about 30 minutes but you can spend more time visiting other temples and shrines along the way. If you are still up for more walking after the Philosopher’s Path, head to the Heian Shrine (orange shrine), followed by Kodaiji Temple and then Kiyomizudera. Otherwise take a taxi directly to Kiyomizudera in the Higashiyama area which is famous for its large wooden terrace and amazing views of Kyoto. If you can time it and don’t mind the crowds try to visit Kiyomizudera during sunset for beautiful photos. In the late afternoon or evening, head to the ancient geisha district of Gion. Gion is known for its traditional wooden houses and is filled with restaurants, shops and tea houses. Kyoto Free Walking Tour has free morning and early afternoon walking tours of Gion and Higashiyama districts. Gion is also the best place in Kyoto to spot geishas and their apprentices (called maiko) and you will see many tourists waiting around to photograph them. We spotted several geishas on or near Hanami-koji street. The best time to spots geishas is around dusk (5-6pm) when geisha are on their way to their appointments at tea houses. Real geishas are pretty elusive and avoid tourists – you might spot them entering a taxi or one of the buildings. If you see geishas posing with tourists or stopping for photos they are not real geishas, they are tourists dressed up as geishas. The tea houses are not open to the public but you could book a tour which includes entry to a teahouse and time with a maiko. After spotting geishas, you can cross the Kamo River and head to Pontocho, a narrow pedestrian only street that runs along the bank of the river and lined with restaurants and bars. In the summer many of the establishments build platforms extending over the Kamo River so you can dine outside. Take the train west to Arashiyama to view the famous and beautiful Sagano Bamboo Forest. It gets very busy so I recommend visiting early in the morning. You don’t need a lot of time if you are only visiting the forest as it is not very big but you will need a half or full day if you also visit the nearby monkey park. From the train station, the bamboo forest is a short walk through the town passing shops and restaurants. After the bamboo park you can walk to the Iwatayama Monkey Park to see Japanese macaque monkeys. Located in the Arashiyama mountains, the walk to the monkey park is an approximately 20-30 mins steep hike uphill from the bamboo forest. Once you reach the top you will find tons of monkeys roaming around and there are also great views of the city. You can purchase food to feed the monkeys. From Arashiyama, you can take the train to Northern Kyoto and then take a taxi or bus to the iconic Kinkakuji temple (Golden Pavilion). Kinkakuji overlooks a large pond and you can take photos of Kinkakuji with its reflection in the pond. Ryoanji Temple is another temple located close to the Golden Pavilion which has a famous Zen rock garden. Personally, I though the garden was a bit overrated but it was packed with tourists during my visit. After visiting Ryoanji Temple, I recommend heading to the nearby Okonomiyaki Katsu restaurant which is located in a residential neighborhood nearby. It is owned by a Japanese couple gets great reviews and their specialty is okonomiyaki. Their website is in Japanese but check their times as they are only open for lunch and dinner and are closed on Wednesdays. If you ran out of time on Day 1 or 2, visit any temples you missed today in the morning. Then head to Nijo Castle in Central Kyoto. Located in central Kyoto, Nijo Castle is easily accessible by subway. Nijo Castle is large but easy to explore so I would allow an hour or two to enjoy at leisurely pace. In addition to its beautiful art, Nijo Castle is famous for its squeaky floors (not because they are old they were designed to make noise to alert for intruders). After sightseeing in the morning head to Nishiki Market for lunch. Nishiki Market is a narrow shopping street lined by shops and restaurants selling fresh seafood, produce, and even souvenirs. Nishiki Market is a good place to wander around and spend hours sampling Japanese food. If you would like some guidance, you can book a food tour. If you have time today, your last day in Kyoto might be a good time to take a day trip to either Nara or Osaka. Nara is the ancient capital of Japan and is famous for Buddhist temples, shrines and the famous Nara deer park. You can visit Nara in half a day but you will need a full day for Osaka. Kyoto has many great ryokans (traditional Japanese inns) so consider if you would like to stay at a ryokan instead of a western hotel. We really enjoy staying at ryokans but you must be OK with sleeping on a bed on the floor. Most ryokans also include kaiseki dinner/breakfast in addition to accommodation. These are our top picks for the best hotels and ryokans in Kyoto for every budget. The Ritz-Carlton, Kyoto. This is our top pick if looking for a hotel luxury experience. The Ritz-Carlton, Kyoto has a great location in Central Kyoto close to Gion and Pontocho and gets great reviews on tripadvisor. Opened in 2014 as the first luxury urban resort in Japan, The Ritz-Carlton is on the banks of the Kamogawa river with views of the Higashiyama mountains. The resort features four restaurants and bars, spa, pool, free wi-fi, in room refrigerator and some rooms have river views. Click here to read Tripadvisor reviews. Arashiyama Benkei. Traditional Japanese Ryokan located in a beautiful area in Arashiyama near the river. It is not as centrally located but is close to the famous bamboo forest and monkey park. Click here to read Tripadvisor reviews. Citadines Karasuma-Gojo Kyoto. Citadines Karasuma-Gojo Kyoto has serviced apartments with a kitchenette and free wi-fi. It has a convenient location close to a train station (one stop from the Kyoto Train station), supermarket and restaurant. Click here to read Tripadvisor reviews. Hokkaikan Ohanabo. This midprice ryokan is in a great location within very close walking distance to Kyoto Station. Click here to read Tripadvisor reviews. Hotel Gran Ms Kyoto. Very affordable hotel in a convenient location close to Nikishi Market and subway. Click here to read Tripadvisor reviews. Ryokufuso. Affordable ryokan near train station. Click here to read Tripadvisor reviews. Have you been to Kyoto? If so, what are your recommendations for three days in Kyoto? Are you also visiting Tokyo while in Japan? 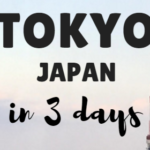 Here is our itinerary for 3 days in Tokyo. I’ve been to Kyoto a few times and definitely second everything on this list. For budget accommodations, I’d also lump J-Hoppers in. It was a nice hostel and one of the cleanest I’ve ever stayed in, but that’s probably because Japan is pretty clean compared to most places. Anyway, I thought it was cool. The Ginkakuji is one of my all-time favorite places to visit. So much awesomeness inside there. Japan is definitely clean compared to most places which is one of the reasons that we love it so much. Thanks for the hostel suggestion-looks like it has pretty good reviews on tripadvisor. Kyoto is beautiful. I lived in Japan for a year and have been to Tokyo several times during that period and since moving back to Europe. 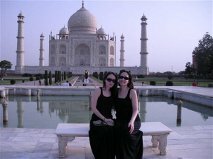 This is a great itinerary and covers the major attractions. Kiyomizu dera is a beautiful temple anytime of the year. The views of Kyoto are spectacular, especially in the evening. Plus there is a massive cemetery nearby that’s worth a visit. During Hanatoro festival is a wonderful time of the year to visit Tokyo and explore shrines, temples, and major sights during the evening/night. Just wrap up warm! Been to Kyoto twice for work. Luckily, I found time to explore the city. It beautifully blends nature, tradition and the modern world. 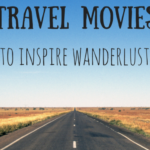 A must-visit for every gypsy-soul. This seems quite packed but cool! Any tips on how you got a photo of the torii without any people? I would recommend going first thing in the morning.